Image caption Dianne Williamson's family said: "We are heartbroken"
A 65-year-old woman has appeared in court charged with murdering her partner. 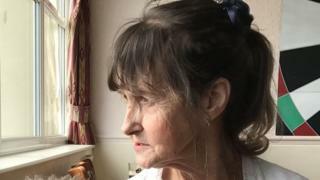 Dianne Williamson, 70, was found dead at a property in the village of Gristhorpe, near Filey in North Yorkshire, on Sunday night. Sheila Lockridge, of Lodge Gardens, Gristhorpe, appeared at York Magistrates' Court and was remanded in custody. She is due to appear at Leeds Crown Court on Thursday. Police inquiries are continuing and detectives have appealed for any witnesses to contact them.